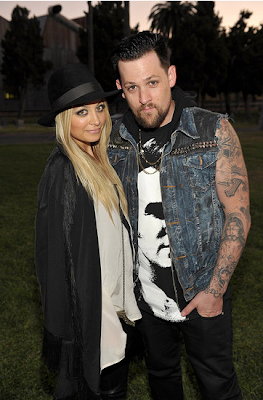 Nicole Richie appeared at the Band Of Outsiders summer event hosted by Net-A-Porter in the Hollywood Forever cemetery (24th August) last night. 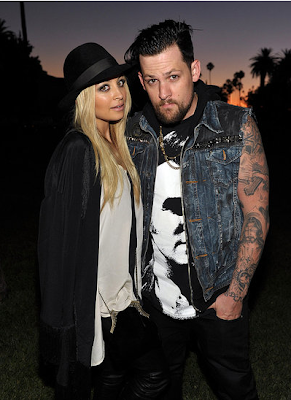 Nicole Richie with her husband Joel Madden. Nicole Richie wore a black fringed bed jacket and batwing blouse from her A/W11 collection of Winter Kate. Nicole completed the look with her favourite Tom Ford fedora and a hot pair of leather pants.